If you’re looking for somewhere to pay your respects in Edinburgh this Anzac Day, join us at Belushi’s on the morning of April 25th. 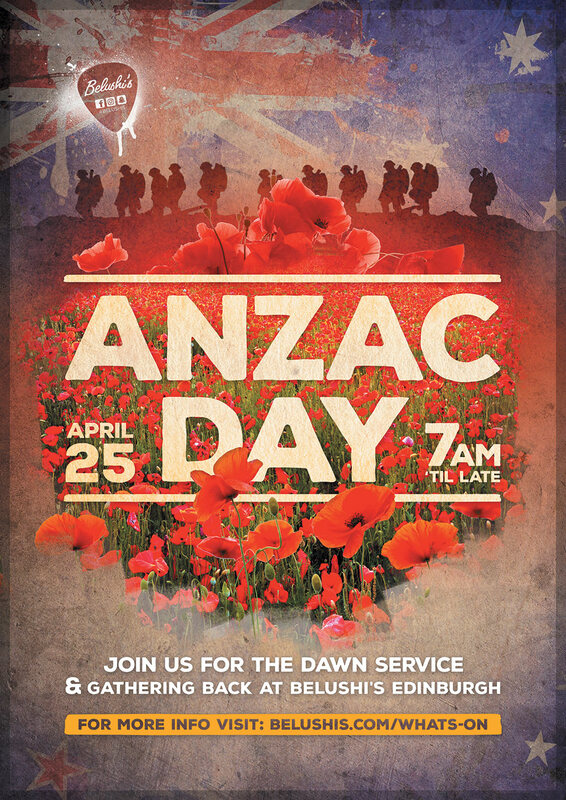 Belushi’s Edinburgh will be hosting an official Anzac Day service, meeting at 5:15am to be up Carlton Hill and watch the sunrise at about 5:46am. Whether you’re in Edinburgh from New Zealand, Australia or anywhere else, everyone is welcome to respect their national day of remembrance with us from the other side of the world! Join us for Anzac poems and a sunrise over Edinburgh followed by a delicious eggs Benedict breakfast back at Belushi’s for when the early rise hunger pangs kick in.